When a Dream becomes a Nightmare! Even in Ireland, the Windweasels Wreak havoc on Residents! For many in cities, and I have come across a few, wind farms are benign entities. Ignorance is bliss! As long as they have power and feel that they are saving the earth they are quite happy for wind farms to be built elsewhere. If you know one such please show them this story. 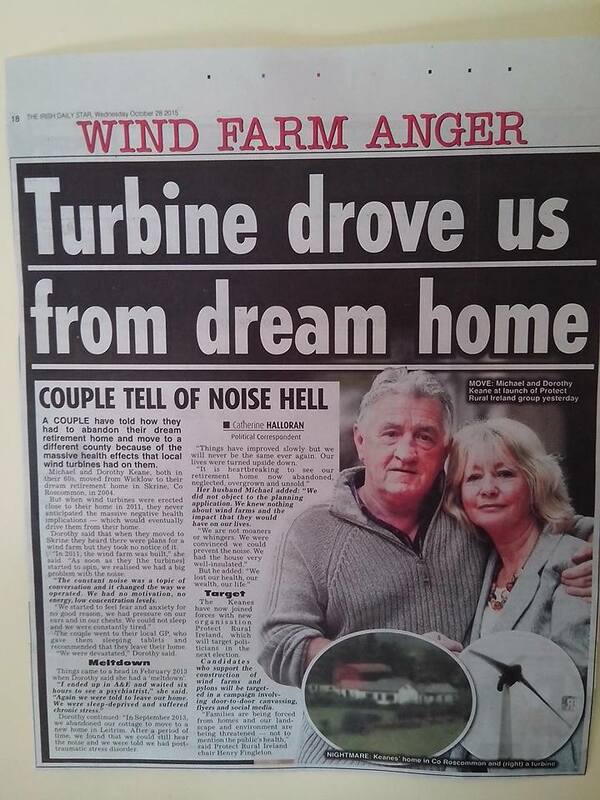 ← Wind Industry Deserves to “Collapse”, just like one of it’s Useless Turbines!